It's been more than 30 000 years since we have visually communicated for the first time. You may call these cave carvings art, but it was more certainly an intended and reasonable message. I am sure that not only in my eyes. Someone unmistakably had to share his/her experience with hunting, animals, the moon, and of course, with the aliens - and as a visual artifact. With no doubt, the visual communication is an essential part of our daily life. From the napkin doodle to emoticons we keep sending over, we prefer images over the voice in many cases. And It seems that as simple the form gets, the more we tend to like it, the better our communication gets. It sounds to be obvious, but why? There are at least two parties to each communication: Addressee and Addressers. One is sending, the other one receives. And this is the receiver's perception where the magic happens. 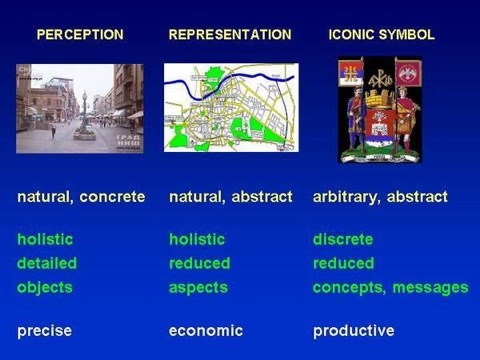 Among the other things, it is mainly the combination of our brain and eyes which are set to recognize three levels of visual understanding of the world: concrete perception, representative, and symbolic/iconic at its highest level. Interestingly, using the most trivial visual forms, such as circle, square or triangle, we can share much more complex experiences or messages. Composing multiple geometric primitives into general shapes allows us to describe quickly any concrete object. And it works great another way too: Our brain looks for these forms when analyzing what we see and breaks down complex shapes into basic geometries. 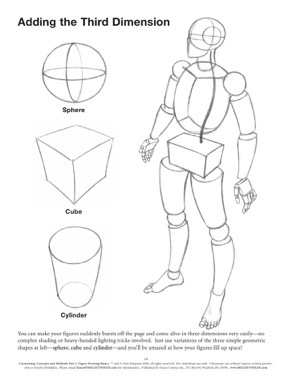 This way, we learn that our bodies are primarily made of spheres and cylinders - exactly as our brain work in all other cases: Identify a problem, split it into smaller ones. Now, let's take a look how the current state of digital tools looks. My impression is that these instruments rather dictate and restrict creative and communication freedom, instead of supporting it, or even catalyzing it. Just the fact that we have to deal with input devices such as keyboard, mouse or stylus removes that approachability of a napkin sketch. And then comes the user interface with all its menus and icons. Fortunately, the VR and AR can avoid most of the above-mentioned issues. With no constraints of desktop computing and we can leverage the advantages of our natural body gestures and improve the "doodling" experience significantly.